Can Social Media Help Turn Your Woodturning Hobby Into a Full Time Income? I’m sure that thought has come to you as you made one wood turning product to another. You probably were creating all these products and items for friends and family members. Maybe you’ve given them away at work. I’m sure the idea has come up in some form or context at some point in time – the idea being how you can turn whatever you’re doing for fun into real money. Whether you’re making Sixty thousand dollars a year or several hundred thousand dollars a year, make no mistake about it. The wood turning hobby can replace your income. Now, it’s very easy to see why this possibility is so attractive to a lot of people. Let’s get real here for a minute. Most people hate their jobs. There, I said it. The cat is out of the bag. That’s true. For too many people in the United States or elsewhere, their job is a daily humiliation. They’d rather be doing something else but unfortunately, many of the other things that they could be doing don’t pay as much as their daily job. So they show up, punch the clock, sign in and basically do the bare minimum just so they don’t get fired. That’s the extent of job satisfaction many people have regarding their nine-to-five job. It really is a grueling existence for a lot of people. I describe this situation not just as some sort of American or Western European thing. This applies across the board. Whether you live in Southeast Asia, South Asia, South America, Eastern Europe or Africa, it’s the same story. Most people make a good living with their daily jobs but they know deep down inside that it’s not fulfilling. They know deep down inside that with everything else being equal and given the chance, they would rather do something else. So if the thought has come to your mind that you’d rather turn your wood turning hobby into a full-time income, listen up. It’s not as hard as you think. In fact, it is all too possible. How? First, you need to get good at what you’re doing. The best way to do this is to give out a lot of free samples. Thankfully, there is no shortage of opportunities to do this. 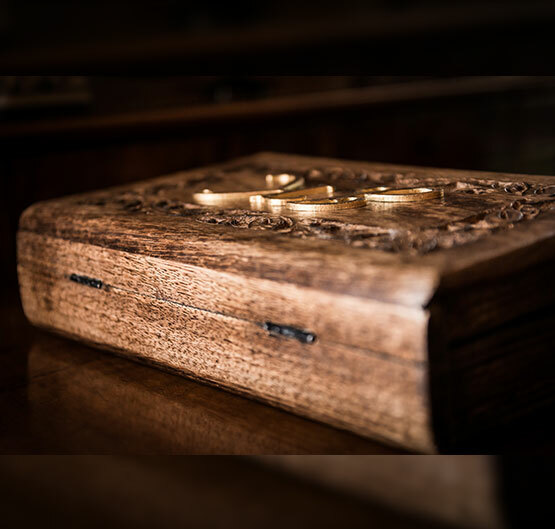 I’m sure that in your workplace, as well as in your circle of friends and family, there are people who would be ready, willing and eager to give you a piece of wood in exchange for a finished turned item. Turnedtreasures.com was started by a small artisan out in the American Midwest. We mentioned the word “artisan” but he actually did not think much about himself at least as far as his skill level was concerned. © Copyrights 2018 Turned Treasures. All Rights Reserved.